Join us for seasonal fun on our beautiful farm! 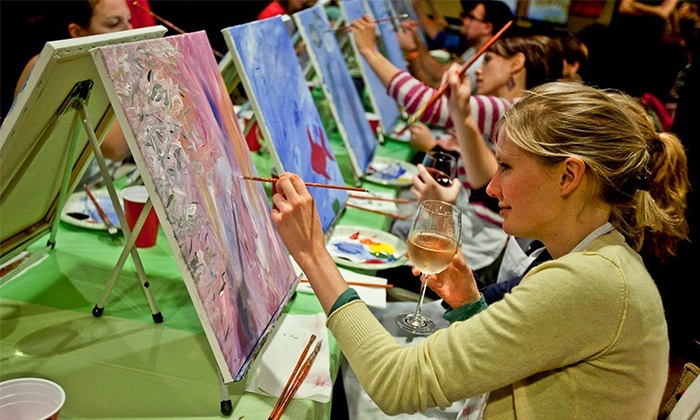 Paint Nights are for adults or groups who want a night out for a great cause! All participants will create their own painting, led by an instructor. All paints and supplies are provided. Bring a friend and have some fun….with a few surprise guests from our own Farm and Nature Center, this night is sure to please! Turn right at Otto Graham Gymnasium and follow the path, staying to the left all the way through the farm, as you continue into the woods, the Rose Lodge Log Cabin will be on the left with parking across from it on the right. Registration is required to hold your spot! Can’t make that date? Don’t worry, we have a paint date for every season!